Indian IT billionaire Azim Premji recently became India's top philanthropist, sealing his place among the world's top givers. But his generosity has put philanthropy in the spotlight in a country where charity does not appear to match wealth. The BBC's Aparna Alluri reports. With his recent pledge of $7.5bn, Mr Premji's total philanthropic contribution now stands at some 1.45tn rupees ($21bn; £15.8bn). This puts him in the same league of givers - as philanthropists are called - as Bill and Melinda Gates, and Warren Buffet. What perhaps distinguishes him even more is that, unlike them, he is not one of the world's five richest people - the Bloomberg Billionaires Index ranks him at 51. "This is not unusual for him because he's been the largest contributor in India and, even the continent, for some time," says Deval Sanghavi, co-founder of Dasra, a strategic philanthropy firm. It works with some of the biggest donors in India, directing their money to various causes and non-profits. In their universe, Mr Premji is a magnanimous "outlier". He was just 21 when he dropped out of Stanford University to join Wipro, a company his father started in 1945. (He went back and finished school in 2000). Under him, Wipro, a refinery for vegetable oils, grew into one of India's biggest and most successful IT services firms. News of his pledge came in a dry press statement issued by the Azim Premji Foundation and included no personal statement. According to one newspaper, he even asked "what's all the fuss about" when he was told that the pledge was generating headlines and buzz on social media. Mr Premji is not entirely alone in his generosity. IT billionaires Nandan and Rohini Nilekani have pledged 50% of their wealth to philanthropy; Biocon's Kiran Mazumdar-Shaw committed 75% of hers; and many other families fund hospitals, schools, community kitchens, the arts and scientific research. All of them, like Mr Premji, are pledging their personal wealth, largely earned in their own lifetimes. The Tata Trusts, endowed by the personal wealth and profits of one of India's biggest and oldest conglomerates, has been India's biggest philanthropic outfit for decades. It is only now rivalled by Mr Premji's foundation, which funds education, healthcare and independent media among other things. "Premji's grant for the nation matches only what Jamsetji Tata and Dorabji Tata have done from a historical perspective," Amit Chandra, managing director, Bain Capital, told the Economic Times newspaper. Mr Premji's contributions over the past decade, he added, stand out across more than a century of Indian philanthropy - the first Tata trust was set up in 1892. If you take into account all the money given away by ultra-rich donors (anyone who has given more than $1.4m) in recent years, Mr Premji accounts for 80% of it, according to a recent philanthropy report co-authored by Dasra and Bain. Take his contributions away and that amount drops by 4%, the report says. (And this is not including his March pledge). Philanthropy is growing, says Mr Sanghavi, but it's not growing fast enough. Private philanthropy in India grew at a rate of 15% per year between 2014 and 2018. The Dasra report sees this as "particularly problematic" since ultra-rich households have grown at a rate of 12% over the past five years and are expected to double in both volume and wealth by 2022. Compared to the percentage of net worth given away in the US every year, the report estimates that India's rich could give $5bn to $8bn more each year. "There is a great fear of the taxman," says Ingrid Srinath, director of the Centre for Social Impact and Philanthropy at Delhi's Ashoka University. "They [the rich] don't want to end up on any radar or become the subject of more appeals for money." She believes another reason could be that wealth in India is still only one generation old, and those who have it don't feel secure enough to give it away. But Ms Srinath also cautions against wholly relying on the data as it is incomplete, making it "hard to say anything definitive about philanthropy in India". There is no centralised directory tracking philanthropy in India. Tax laws are complex and there aren't many incentives for giving. So reports, such as the one by Dasra, rely on multiple sources, from the government to third-party trackers to individual declarations. "It's not considered cool to talk about how much you are giving," Ms Srinath says. Ashoka University, she adds, was partly funded by some 100 donors, each of whom gave more than $1.4m but refused to be acknowledged publicly. "If you look at those who have the money, they are not giving it," he says. Ms Srinath agrees: "The overwhelming sentiment is that we [Indians] could do better." Mr Bhagwati doesn't discount donors who fund individual universities or hospitals, but what Indian philanthropy needs, he says, is people who commit to solving a problem. And not just any problem - preferably, one of the daunting sustainable development goals or SDGs. These range from ending poverty and hunger to giving people access to clean energy. Strategic philanthropy - which Dasra advocates - makes a distinction between charity and philanthropy. While the former might involve feeding the poor on a single day, the latter would require investing in non-profits that work to decrease or end hunger altogether. More importantly, Mr Bhagwati says, philanthropy needs donors who will invest in the fight itself. By this he means pledges that don't specify how the money is to be spent. He calls this "restricted giving" and says it's hard to coax people to give any other way. But some of this is changing. "Earlier you gave as much as you could and hoped something came of it," Ms Srinath says, adding that earlier, most people wanted to fund education. "Education is to Indian philanthropy what cricket is to Indian sport," she says, laughing. But now, she adds, Indian philanthropy is finally diversifying into areas beyond education - sanitation, mental health and scientific research. The biggest challenge has been the gap between what Mr Sanghavi calls "action and intent". Some billionaires are just more willing to give their wealth away than others. He says he has heard several Indian philanthropists, including the Nilekanis, speak of how they see themselves as "trustees" of their wealth, which, according to them, rightfully belongs to the larger community. That is, they believe they owe the world their wealth. 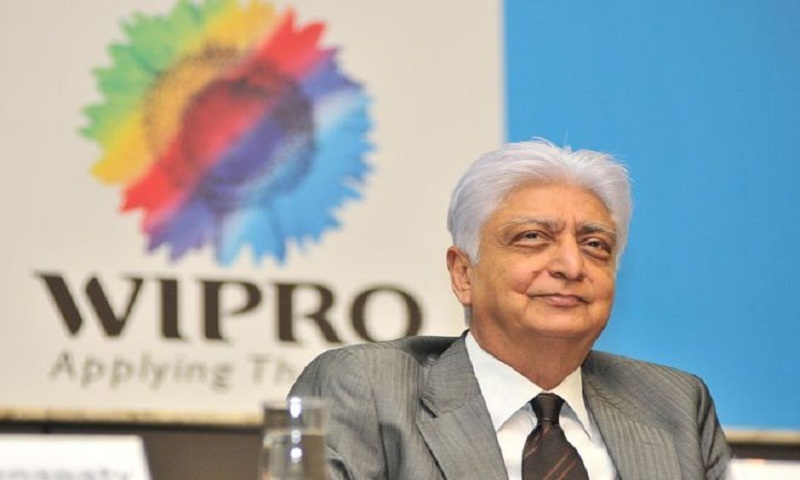 In a note explaining his decision to sign the Giving Pledge, Mr Premji said his mother was the "most significant influence" in his life and that he was also "deeply influenced by Gandhi's notion of holding one's wealth in trusteeship". "It certainly has nothing to do with how much money you have."